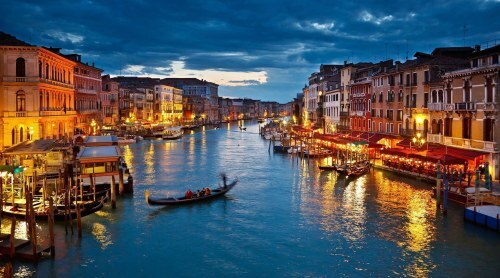 Air Transat has dropped the price of their June flights from Toronto to Venice, Italy down to $586 CAD roundtrip including taxes. This is about 30% below the typical best prices from Toronto to Venice. You can also fly from Toronto to Venice, and then fly home from Rome, for $26 more (instructions below). or, you may also be able to find them by searching on Momondo, and clicking through to Expedia. As for dates to use, try using start and end dates from the list above (the list for regular roundtrip flights). June 9 to June 18 for example. toronto, yyz, flight deals, europe, western europe, air transat, italy, venice and vce. One Response to "Toronto to Venice, Italy - $586 CAD roundtrip including taxes | non-stop flights in June"